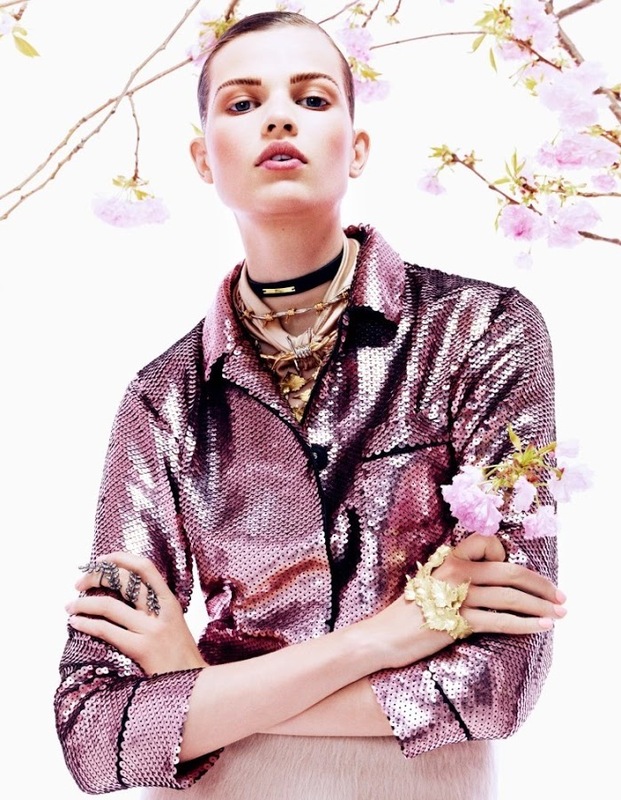 Wonderful pink setting and clothes from Fall collection styled by Giovanna Battaglia, photographed by Sharif Hamza for the August 2013 issue of Vogue Japan. How about those jewelry pieces on her hands (last pic). I WANT THIS GOLD THING.